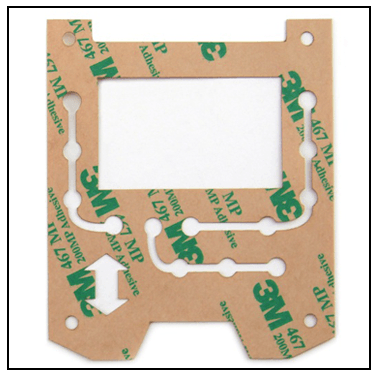 Universal's laser materials processing systems are ideal for cutting and marking 3M products, including Laminating Adhesives, Membrane Switch Spacers, Safety Walk™, 3M™ Display Enhancement & Protection Films, Dual Lock™, VHB™ tapes and Microcellular Polyurethane Foams. 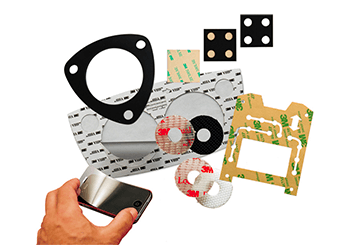 Laser material processing systems provide quick and accurate cuts leaving clean, sharp edges. 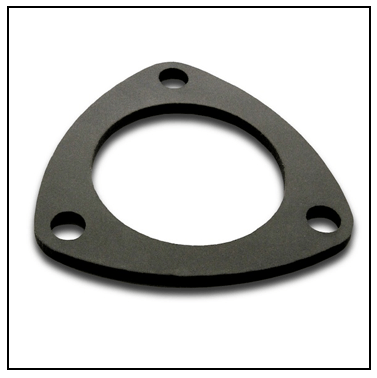 Laser processing is non-contact and eliminates the creation of specialized tooling. Just open the drawing file, select the target material from Universal's Materials Database and press "Start." 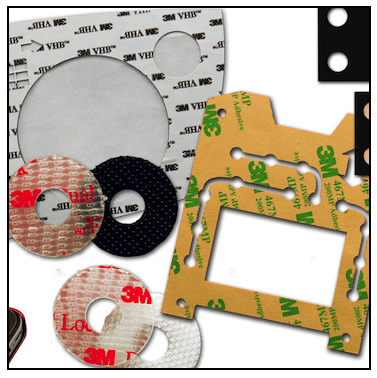 Assorted 3M Materials shown above. 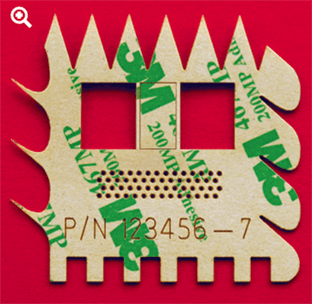 Test piece showing through-cutting, kiss-cutting and part number marking – all material modification was completed in a single manufacturing step. 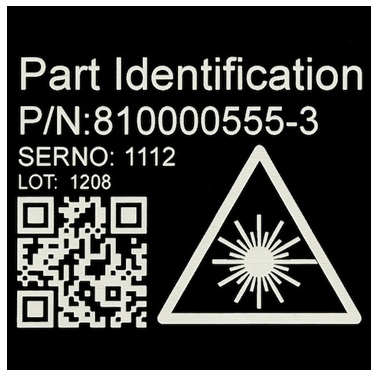 Laser processing delivers precision cuts with crisp, clean edges and enables the addition of identifying marks such as logos and part numbers to finished goods. 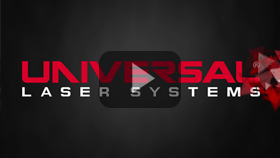 Universal's laser materials processing systems are flexible enough to be used for full-time production or prototyping. 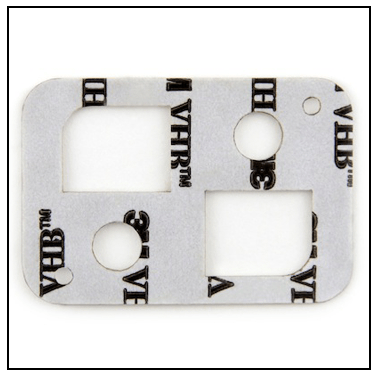 Parts, which are difficult or impractical with die cutting or other conventional means, are easy to manufacture with Universal's laser systems. Laser technology is an effective method for processing 3M™ materials. It allows converters to be Rapid, Reliable and Responsive to customer needs. The ULS Materials Database contains optimized laser processing parameters for hundreds of common and specialty materials. 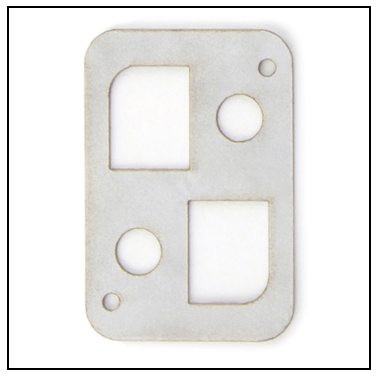 This allows any user to be a laser processing expert. 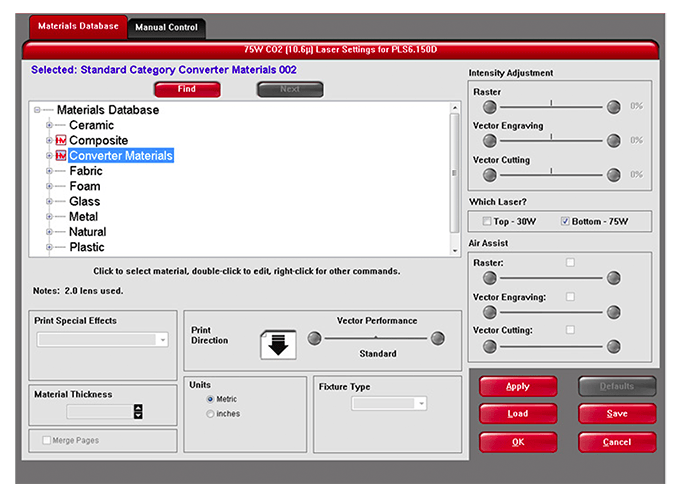 Simply select the material from the drop-down menu, enter the material thickness and press the "Start" button. Additionally, Universal's Standalone Estimator software generates an accurate production time estimate simply by uploading a file, selecting the target material and pressing "Start." The material does not need to be on-hand. The Job Time Estimator delivers precise quotes in the shortest time possible. 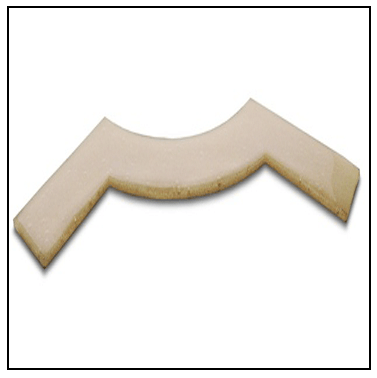 Optimum laser processing settings are pre-tested and loaded into the Materials Database. Generate accurate production time estimates directly from design files. Laser material processing offers fast and flexible manufacturing capability with a small footprint and low capital investment. Production can begin with a single system for first articles and add systems incrementally to meet increased volumes. Laser material processing technology is identical from system to system – capacity increases do not require manufacturing process changes or requalification with customers. 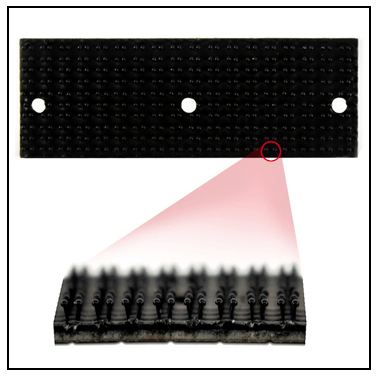 Additionally, all laser systems operate under the same manufacturing process allowing one individual to easily run the entire system.